[New York, NY] Today, Services and Advocacy for GLBT Elders (SAGE) and the Schomburg Center for Research in Black Culture announced a new collaboration with Leslie-Lohman Museum of Gay and Lesbian Art for the forthcoming 2016 special exhibition, “Legend in My Living Room.” The general public and members of the press are invited to attend the opening reception on Tuesday, May 24, from 6-8 pm at the Leslie-Lohman Museum at 26 Wooster Street in Manhattan. The exhibition runs May 15 to August 12. The exhibition will feature specially commissioned photographic portraits by Magnum Foundation Fellow, Jasper Briggs, of LGBTQ older adults in their home environments. The portraits of six subjects(ages 56-84) displayed prominently in the Museum’s window vitrines, will reflect personal stories of struggle, triumph and perseverance. Launched in summer 2015 in partnership with the Schomburg Center’s In the Life Archive (ITLA), the project highlights the history, lives and contributions of the Black LGBTQ community through oral history recordings and now, photographs. SAGE Center Harlem participants featured in the project will attend the opening reception. Select participants have partnered with Pride Toastmasters to deliver brief speeches inspired by their oral histories, which will also be available via listening stations. Artist Bio: Jasper Briggs is a documentary photographer capturing images that reflect the human condition. In 2015 he was selected to be a Magnum Foundation Fellow. 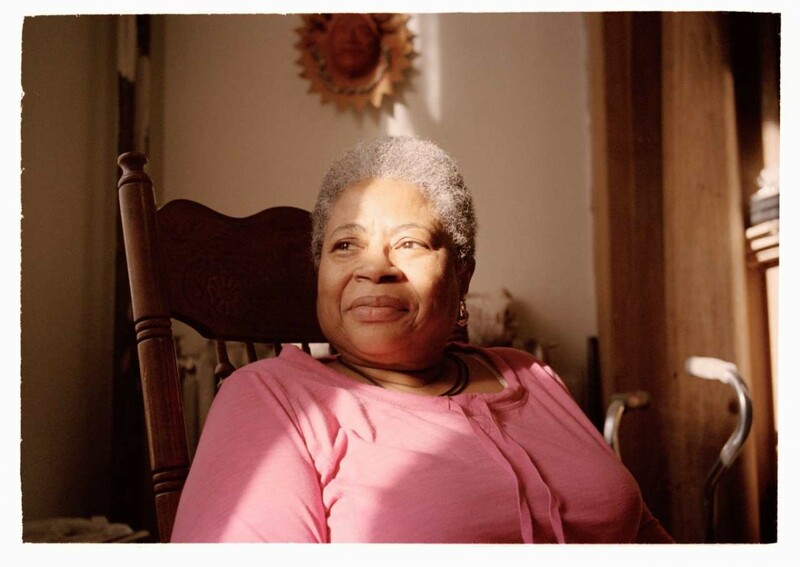 For his project, Briggs photographed LGBTQ older adults from SAGE. Briggs is an alumnus of the International Center of Photography’s Documentary Practice and Visual Journalism Program. He lives and works in NY.